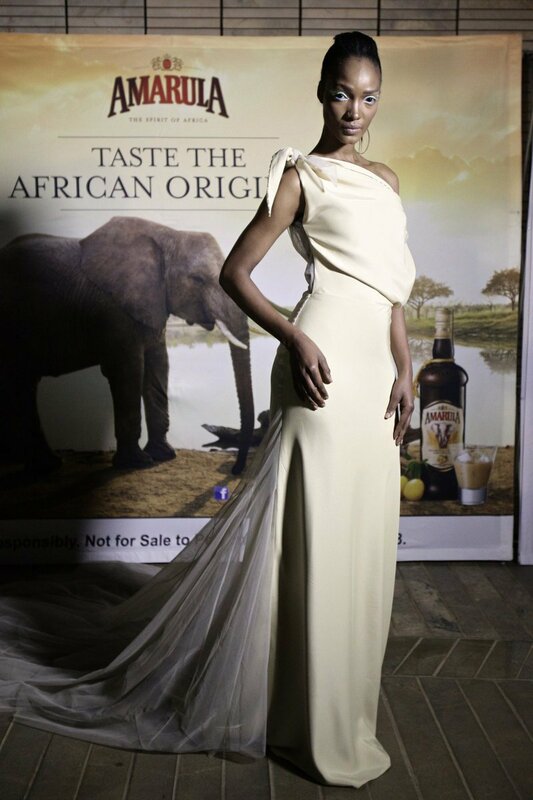 Amarula, one of South Africa’s favourite exports with a global following, has teamed up with Klûk CGDT, the newly crowned African Fashion International (AFI) Designer of the Year 2013. The two top local brands that both proudly affirm their African origins, are working together to bring luxury and taste to more South Africans, while raising awareness and support for the not-for-profit Amarula Trust that invests in sustaining communities and promoting conservation. 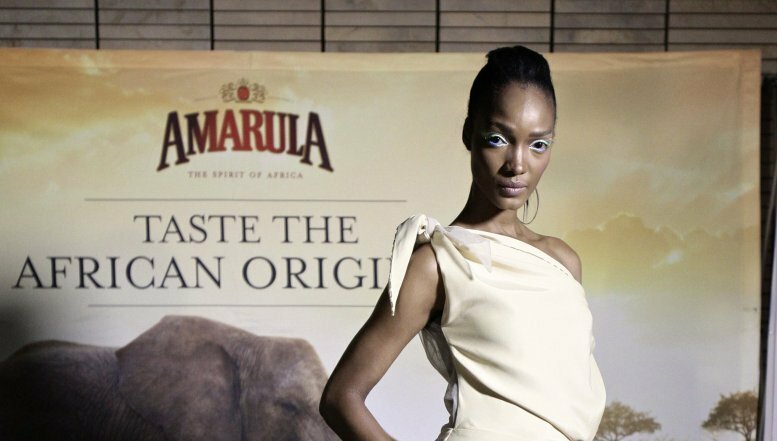 “We are celebrating two forward-looking African original brands while supporting job creation and research into elephant behaviour to create conservation programmes,” said Amarula spokesperson, Christelle Bester. In the first step of their collaboration, Klûk CGDT has created an Amarula-inspired cream-coloured silk satin dress with a back covered in soft tulle, “that reflects the texture, presence and drama of the spirit of Africa,” explains Malcolm Klûk. The tassels tied around the neck of every bottle are threaded, knotted and brushed out by women in Sir Lowry Village,Macassar and Nomzamo before being delivered to Amarula. Klûk says the bias-cut, draped shoulder gown that forms part of Klûk CGDT’s Afro-Future collection was exhibited in Cape Town at the Lookout Marquee at the V&A Waterfront in the finale of the Red Carpet Fashion Show. It was also featured in the grand finale of the Mercedes-Benz Africa Fashion Week, staged at Freedom Park in Pretoria. As it gears up for its 25th birthday this year, Amarula is planning the launch of a new, very versatile spirit called Amarula Gold. The non-cream product goes to the very essence of the exotic African marula taste. It will be released into key global markets from the first quarter of this year, following extensive global research and testing. It was very positively received at the recent 2013 Tax Free World Association Exhibition in Cannes, where it was unveiled to key partners. Like Amarula Cream, it is also made from marula fruit that is fermented into a marula wine and then double-distilled and aged in oak for 24 months.